We're here-- every day, every step of the way-- to help you keep your horse healthy and comfortable. You'll find all kinds of helpful tips and information here, but if you can't find what you're looking for, please give us a call at 855-763- 8743 in the US, or 281-334- 2576 outside the U.S.
You’ve got questions, we’ve got answers. We’ve tried to think of everything you need to know about Soft-Ride’s products, so there’s a good chance you’ll find the answers to your questions here. 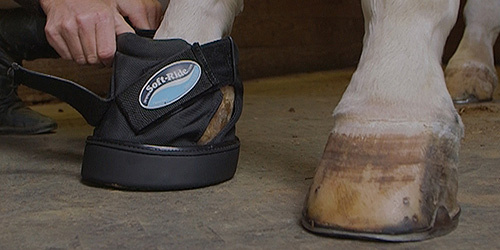 If not, as always, please give us a call at 855-763-8743 in the US, or 281-334-2576 outside the U.S.
Just a few minutes of TLC (Total Little Cleaning) will help your Soft-Ride Boots last longer and provide your horse with unparalleled comfort. These brief videos will show you how to get the most out of your Soft-Rides. 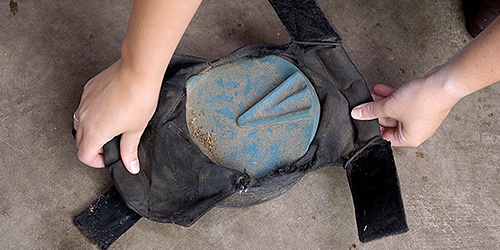 Learn everything you need to know about proper use and care to maximuzing the life of your Soft-Ride products. 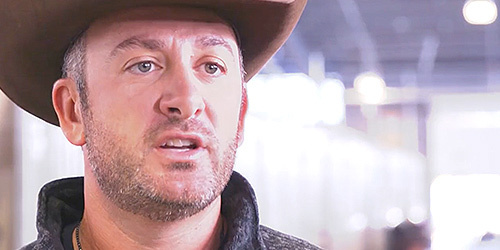 Every day, we receive thank you notes, letters, phone calls and e-mails from customers who want us to hear how their horses have been helped by Soft-Ride. 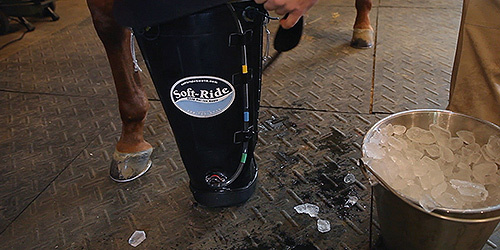 Check out some of their comments below, and send your Soft-Ride success story to sales@softrideboots.com.